A new study has found that hornbills, vultures and eagles are being hunted for bushmeat in Cameroon in much greater numbers than previously thought. Researchers estimate that people living around the proposed Ebo National Park in Cameroon’s Littoral region consumed an average of 29 hornbills and eight raptors per month. But they remain unsure how the current levels of hunting are affecting the bird populations, given that so little is known about the latter. Hornbills, vultures and eagles are being hunted for bushmeat in Cameroon in much greater numbers than previously thought, a new study has found. Previous research has shown that relatively few birds are sold in Cameroon’s markets compared to mammals and reptiles. However, market surveys can be biased toward commercially valuable wildlife, missing animals that are killed by hunters for consumption in their hunting camps, Robin C. Whytock, a doctoral researcher at the University of Stirling in Scotland, and his colleagues found in a study published in 2016. 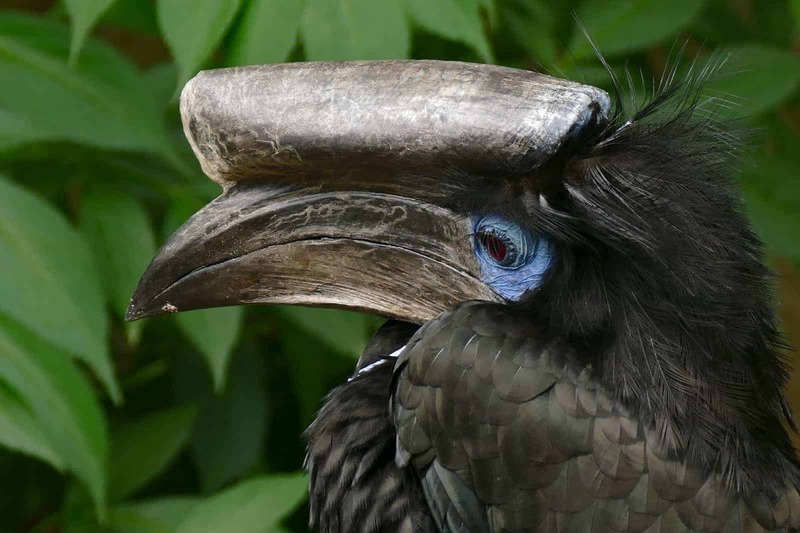 Whytock’s team surveyed discarded animal remains at hunting camps in the Ebo forest (proposed Ebo National Park) in Cameroon’s Littoral region, and found that people were hunting about three hornbills every month on average. But that seems to have been an underestimate, Whytock concluded in a recent study published in Biological Conservation. Through a survey of 240 men from 19 villages around the Ebo forest, Whytock and his colleagues estimated that people in the region were consuming an average of 29 hornbills and eight raptors per month. The researchers worry that large birds like hornbills could be especially sensitive to hunting since these birds reproduce slowly and have slow population growth. But they’re not sure how the current levels of hunting affect Ebo forest’s birds. 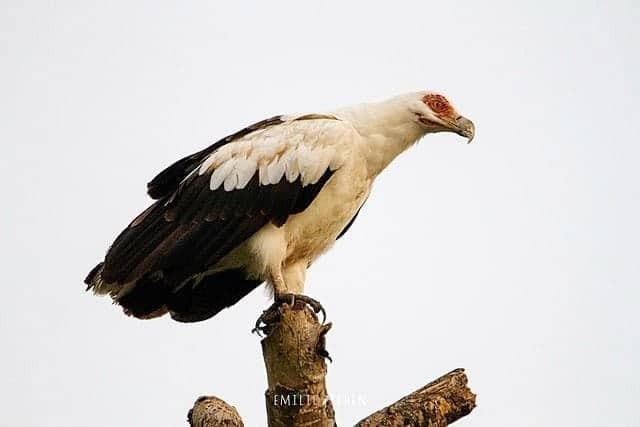 However, identifying the number of birds that are killed is the first step to understanding how bushmeat hunting can affect birds like hornbills and eagles, Whytock added. Some people living around Ebo forest in Cameroon consume palm-nut vulture. Photo by Emilie Chen via Flickr (CC BY-SA 2.0). The researchers were also interested in finding out if hunting behavior varied with levels of education. However, those who hunt can be hesitant to talk about their hunting activities because of fear of prosecution for the often illegal nature of their activities. So the researchers deployed two methods of questioning. They asked 675 people direct questions to find out how many of their meals in the past week contained meat from different wild species. They also used an indirect method of questioning called unmatched count technique that grants anonymity for people’s identities and responses, and improves the chances of getting more truthful answers to potentially incriminatory questions, such as those about hunting activities. The results of the surveys were unexpected, Whytock said. The indirect line of questioning revealed that better-educated hunters tended to hunt more. But direct questioning showed the opposite: better-educated hunters reported consuming fewer wild birds. This suggests that without the cover of anonymity, they were inclined to give evasive answers. Overall, hornbills, such as the black-casqued hornbill (Ceratogymna atrata) and the white-thighed hornbill (Bycanistes albotibialis), were among the most consumed birds, followed by raptors like the palm-nut vulture (Gypohierax angolensis) and a few eagles. However, given how little is currently known about the population status of forest birds in Cameroon, there’s an urgent need to assess their populations and quantify how many are being hunted, the authors write in the study. “Pending further assessment in other locations and in light of other threats such as habitat loss, we recommend that palm-nut vulture, black casqued hornbill and white-thighed hornbill are re-classified as Data Deficient (from Least Concern) by the International Union for the Conservation of Nature’s Red List of Threatened Species,” the researchers add. Featured image: Black-casqued hornbill. Photo by Bernard DUPONT via Flickr (CC BY-SA 2.0). Whytock, R.C. et al. (2018). Quantifying the scale and socioeconomic drivers of bird hunting in Central African forest communities. Biological Conservation. 218 (2018) 18–25. https://doi.org/10.1016/j.biocon.2017.11.034.